September is National Chicken Month (I love chicken! ), and today (the 15th) is National Linguine Day (who doesn’t love pasta?). So, when I thought about what I might blog about for today, Red Lobster’s Cajun Chicken Linguine Alfredo naturally popped into my head. It’s one of my favorite things to eat when I go there. I know, I know. Who goes to Red Lobster to eat chicken? Well, sometimes I do! The Internet is full of copycat restaurant recipes, and this particular one from Red Lobster is one of them. There are many variations out there, but I finally found one (after a few tweaks here and there) that I thought tasted pretty much like the real thing. And I love the fact that (did you guess?) you can use your leftover crock pot chicken to make this! Here’s what I came up with. A definite whole-family pleaser! 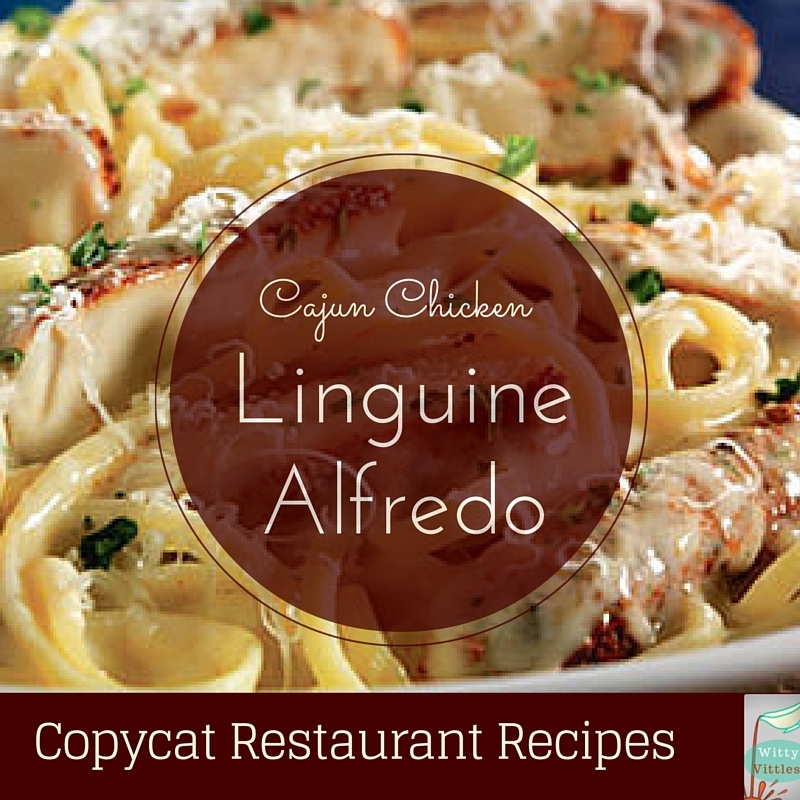 This is a copycat variation of the delicious Red Lobster Cajun Chicken Linguine Alfredo. In a 2-quart sauce pan, melt the butter and add the cooked chicken. Sautee over medium heat for about five minutes, until chicken just begins to brown. Stir in the half and half, flour, and seasonings. Simmer for 2-3 minutes, stirring occasionally. Fill a large pot halfway with cold water, add a pinch of salt, and bring to a boil. Add the pasta to the water and put in one tablespoon of olive oil. Reduce heat slightly (to a gentle boil), and cook pasta for 8-10 minutes. Drain the pasta immediately and toss with the sauce. Sprinkle the parmesan cheese over the pasta and sauce, if desired. Like this recipe? 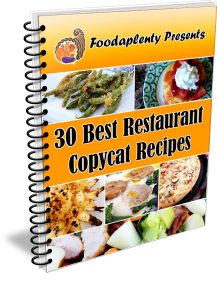 Want to see more restaurant copycats (like Red Lobster’s famous Cheddar Bay Biscuits)? Check out Foodaplenty’s guide to making 30 favorite restaurant-style meals at home. It’s only $4.99, and it includes dishes from Olive Garden, IHOP, Cinnabon, Cheesecake Factory, and so much more! Want to see more before you buy? You can grab your very own copycat recipe of Red Lobster’s Crab Alfredo by clicking here! I love this dish! Thanks so much for linking up with us every week on Tasty Tuesdays. Hope to see you back next week.